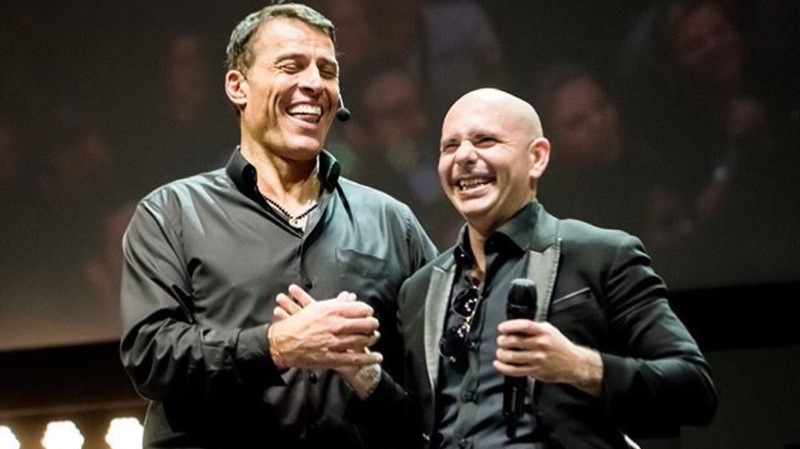 Pitbull joined Tony Robbins at his Unleash the Power Within convention last night at the SAP Center in San Jose, CA! Mr. Worldwide took the stage to perform two songs, “Don’t Stop the Party” and “Fireball”, and then took the time to speak and share his life struggle and his family’s history. He spoke for about ten minutes as he told the crowd of 10,500 fans how he took his life from a negative to a positive. Pit then returned to performing as he belted-out his No. 1 hit, “Give Me Everything”. Check out more photos and videos from #UPWSanJose below! Next Next post: Pitbull Headlines Megaland in Bogotá, Colombia!